J. Cole had some words for Kanye West after the rapper posted an image of their conversation on Twitter. 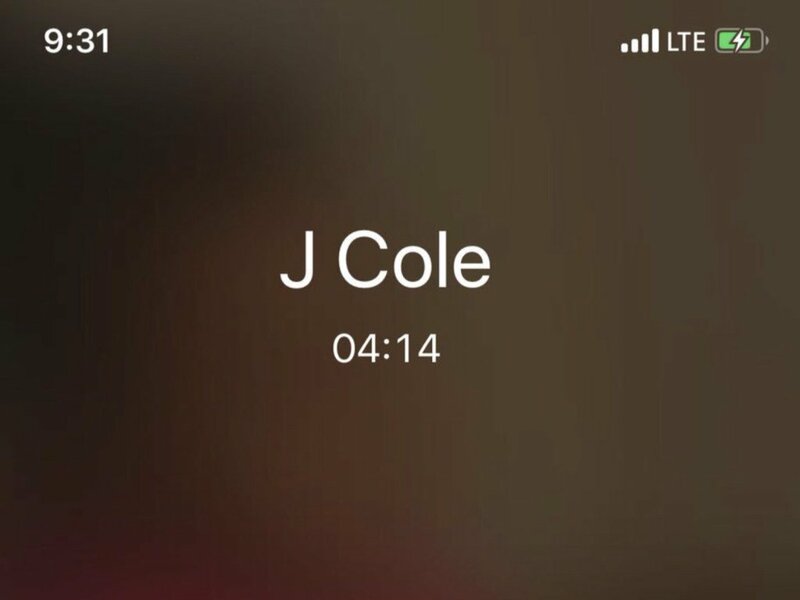 (AllHipHop News) Rapper J. Cole took issue with Kanye West for going public with a recent phone conversation they had shared, because it made their chat feel insincere. The hitmaker took to Twitter on 1 May 1 to publish a screenshot he took of his cell phone screen while he was on a call with Cole, on the same day he sparked outrage after claiming slavery was a choice for African-Americans. He didn't reveal what the pair had discussed, but simply captioned it, "we got love." It had previously been rumored that Kanye was not pleased about Cole's 2016 track "False Prophets," because he believed the 33-year-old had been calling him out on record. Now, in a rare interview, Cole has opened up about the call, admitting he wasn't happy about Kanye's Twitter post, because he felt like he was being "used" for publicity. "He called me, but I would've never posted that (image) or tell him to post that," he told New York radio host Angie Martinez. "That made me feel a certain type of way. I told him that. He apologized, for the record. "I told him that it felt like you just used my name in that very quick conversation for social media and to keep your thing going or whatever you were doing. It felt like it wasn't sincere because of that." J. Cole declined to publicly weigh in on Kanye's controversial slavery remarks or his support of U.S. President Donald Trump, but revealed the 40-year-old had asked the socially-conscious Cole to call him out whenever necessary. "When he called me, he said, 'I need you to hold me accountable. Keep me in check. Say whatever you gotta say. I need that. I feed off that,'" Cole shared. He later admitted to Martinez that "False Prophets," on which he rapped about idols who had lost their way, had included a verse that was applicable to Kanye, although he didn't write the tune with the star in mind. "There's one verse that applies to him for sure," Cole said, "but if you listen to that song, that song is about what this s##t (industry) is exposing. What I gotta check myself about. And I check myself on that song as well... We're worshipping celebrities."